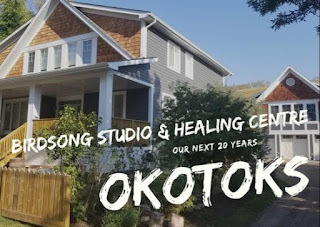 Earlier this year I discovered that this free blog interface (thanks Blogspot!) offers some tools to help me understand how widely (or not) my blog posts are being read. Their analytics me enough basic information to figure out where my readers come from, how they found me, and what kind of operating system they are using. On the weekend, something happened with my Royal Wedding post as its page views started to go through the ceiling. To put it into proper context, a normal post may attract 30 to 50 page views. One with perfect relevance and interest will flirt with 100 and beyond. Up until this anomaly, the most read post was Christmas Eve with over 300 page views. So, you can imagine my surprise when Royal Wedding's numbers began leaping by hundreds in just a couple of hours. 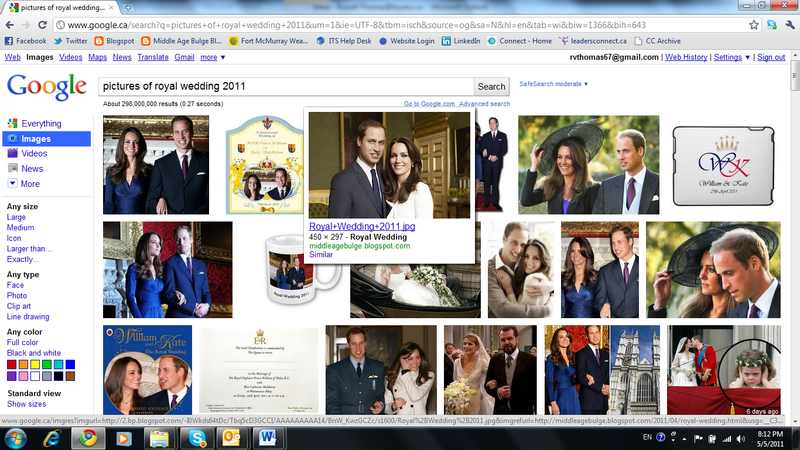 The picture fourth from the left on the top row was the one I had inserted into my Royal Wedding blog. You may not be able to see, but this search query yielded 298,000,000 results. Yesterday that number was over 400,000,000. The picture that links to my blog post was fourth on a list of hundreds of millions. THAT is why people around the world ran into my site, sadly, not because of my interesting writing style. In truth, the picture fourth from the left doesn't always link to the Middle Age Bulge - that appears to be an inconsistent thing - and understandably, the number of hits has slowed down dramatically. But, for a period of about 48 hours, I had this incredibly high ranking position which drove my page views to the moon. 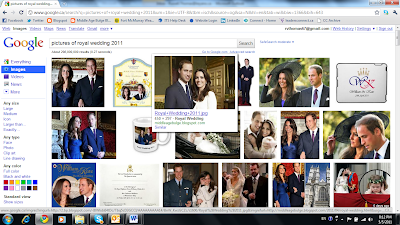 As of this morning, Royal Wedding has hit 977 page views and will likely eclipse 1000 some time today.